Yelling less is something I have been practising very consciously for over a year and a half now. Although I have faltered, stumbled, picked myself up, fallen again and repeated that process, what I have come to understand is that everything has its place in the overall structure of our lives. If it weren’t for my Yelling Less challenge, I would never have gotten back into blogging with a renewed energy and enthusiasm that I find today. If it hadn’t been for my willingness to finally speak about my Depression and Bipolar struggle, I would have hardly known the far-reaching impact that a post like that can have on people all over the world! 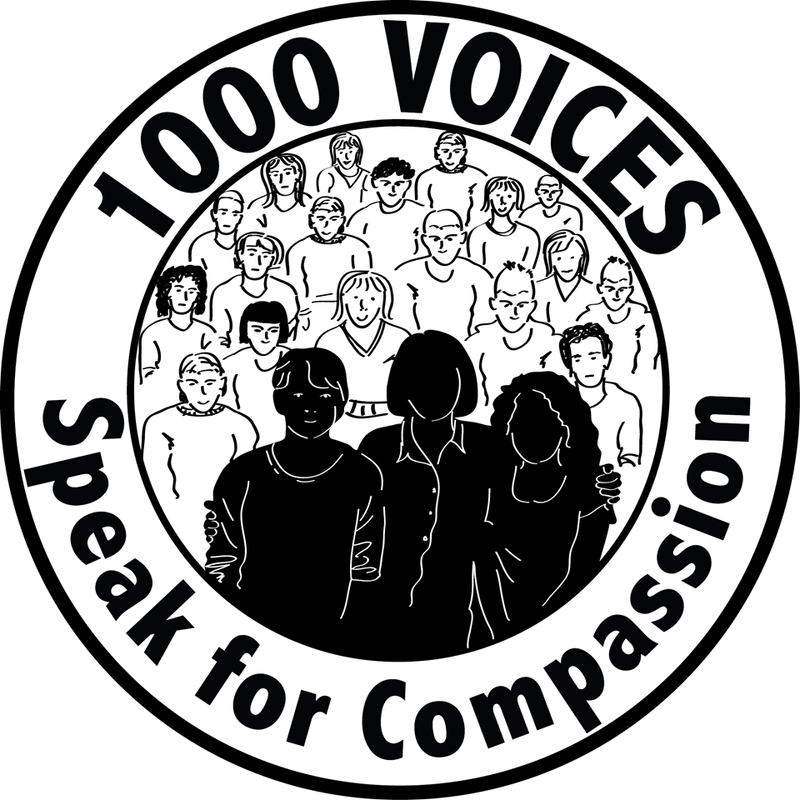 It seemed very opportune then that almost instinctively, I signed up for the 1000 Voices for Compassion project. Read this post to know all about it! The overwhelming response to my Depression Post motivated me to think about what I should truly focus on as my topic for the 20th of February. Torn as I was between celebrating the milestones in my personal Yelling Less journey versus enabling more people to learn and value the importance of Mental Illness, I chose the latter. Because these are all the stories that we need to tell. Every single voice raised in unity can take us that one step closer to a positive energy , designed to help the world. So, as ironic as it seems, on the 20th of February and every time I can, I shall be raising my voice: not to yell at my frustrations, but to bring awareness, any way I can, to the stigma and pain that surrounds Mental Illness. We all need compassion in our lives. A little more never hurt anyone. Watch this space on the 20th of February for a very special Q and A session I will be hosting, on the subject of Mental Health. My only request is that you share that post as much as you can so it gets the attention of everyone who either fights Mental Illness as a victim or as a caregiver. It will also help dispel the myths and taboos surrounding the issue and hopefully, encourage more people to share their stories. Let’s do our bit to add to the Happiness and Kindness quotient in this world. It needs a lot of courage to share stories such as yours, to accept that you faltered and picked yourself up whether it is about yelling less or about depression. Your story was inspiring. Waiting for Nov 20. Lovely to hear that the great response on your post has encouraged you to do even more :). All the very best and looking forward to the 20th Feb post! Look forward to the post. It is a topic that needs to be spoken about much more. Looking forward to reading more.! Looking forward to the post! It takes a lot of guts to show our scars to the world and talk about the lessons we learnt and how we learnt them. Hats off Shailaja! A very laudable step indeed.I read your earlier post and will surely read your post on 20th.The desire to help others is admirable. I love the combination of yelling less and raising your voice for awareness and compassion. I could probably stand to have a Yelling Less challenge of my own… I am quick to raise my voice when frustrated and it's not all that useful or kind, so I should tone it down unless absolutely necessary (like for safety, or a really infuriating situation…but even then…). You inspire me to do better in that area. Great post! I love this line: “I shall be raising my voice: not to yell at my frustrations, but to bring awareness, any way I can, to the stigma and pain that surrounds Mental Illness.” Such a powerful thought; that our words can make a difference.